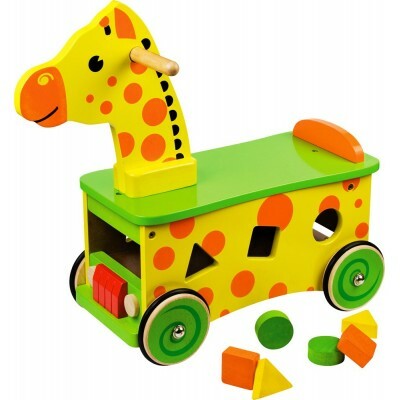 A great little wooden rider and shape sorter for all animal lovers. This little ride on toy is suitable for toddlers and will provide plenty of added fun and interest with the coloured shaped blocks. Slot them through the correct holes and ride away! The blocks could also be used for building projects and stacking games, giving this toy plenty of play value through the years that will encourage imaginative and interactive play.